They say that as you grow older, the memory is the first thing to go. If so, then we’re in big trouble when it comes to our digital identity! If you’re like most people you’ve got dozens perhaps even hundreds of usernames and passwords: one for your bank account, one for your PayPal, one for your Amazon… the list goes on and on. Remembering them all can be a hassle and that’s where OneID comes in. OneID is your new online identity. With OneID, you can say goodbye to usernames and passwords. Instead, you enter your personal information one time when setting up your OneID service account and from there you can sign in to any OneID enabled website with a single click. In addition, you’ll no longer need to fill out your name, email, shipping or billing information when you make online purchases. OneID is the brainchild of Silicon Valley visionary and serial entrepreneur Steve Kirsch. He came up with the idea after his sister was hacked and asked, “How do I know if it’s safe to log into my bank or PayPal account?” Kirsch sprang into action, creating a new service that stands to change the way people log on to websites forever. And did we mention it’s secure? OneID was designed to be unbreakable. People using OneID needn’t worry about identity theft as phishing, key logging, password guessing and malware attacks are useless against OneID’s secure authentication system. To see how it works, click here. 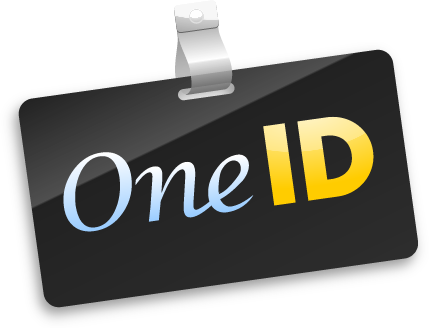 Steve Kirsch calls OneID his “best idea ever.” A bold statement, but consider the source! This is coming from a man who has been at the forefront of technology for more than three decades and has founded several companies including Mouse Systems, Frame Technology, Infoseek, Propel and Abaca. If Steve says this his best idea ever, we’ll take his word for it!